Presets that you design are stored in the phone app. You apply them by pressing the sync button in the upper right corner. You can also store them on the watch for fast access so you can switch user presets without having to open the phone app. 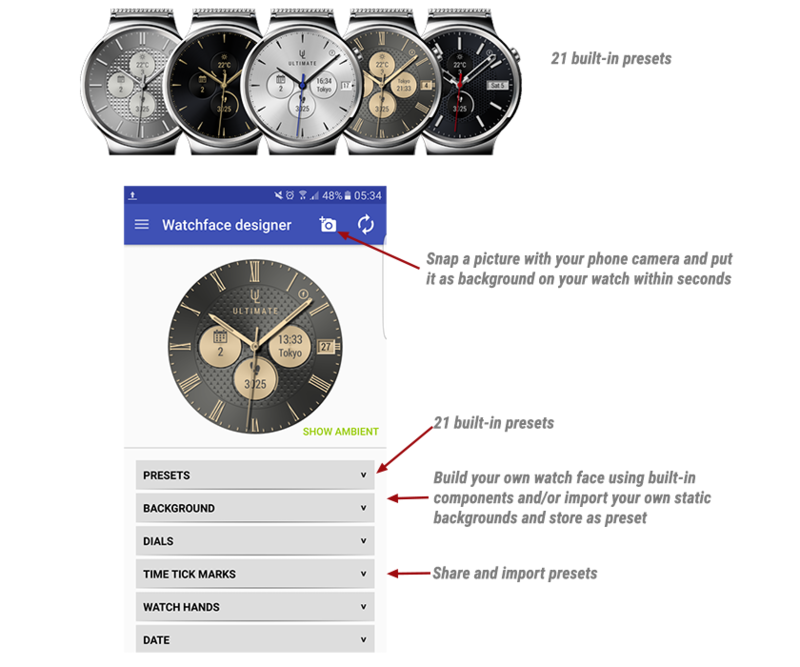 ​Note that after you have sent a user preset to the watch it is managed independently of the user presets on the phone. If you delete a user preset on the watch it is not deleted on the phone (and vice versa).